It can often be difficult to find a prom dress that fits you perfectly in the exact color you want. Depending on the type of material your dress is made of, you may be able to find the perfectly cut dress and turn it into the color you want. Determine what type of fabric your dress is. On most prom dresses, this information is included on the tag. If it is 100 percent cotton, silk, linen, wool, rayon or nylon, it is most likely possible to dye it. If your dress contains over 50 percent polyester or acetate, common synthetic fibers, the material will typically not accept the color. Read the label for washing instructions. If the label reads “dry clean only,” you will not be able to dye it. It may also be difficult to dye a dress that you can only wash in cold water, although not impossible; if this is the case, you will need to purchase a dye that you can use with cold water. 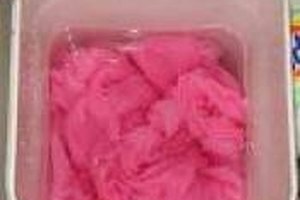 Buy a fabric dye suitable for the material of your dress. Many larger retailers offer a small selection of these types of products in their home care departments. A craft store will typically have the best options. Fill a tub or bucket that is large enough for your prom dress to move freely with hot water, taking note of how much water you add. 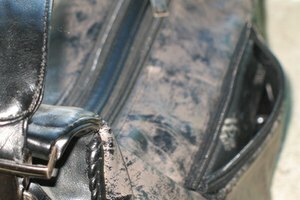 Avoid plastic or fiberglass containers, as the dye will likely stain them. It is also important that you do not use anything that you prepare food in. Get your dress wet with hot water. This will ensure that it is completely soaked before you place the prom dress in the container of hot water, which is essential for an even dye job. Mix the dye according to the manufacturer’s directions and add it to the tub. Base the amount of dye you add to the tub on how much water you’ve used. Shake out the dress and add it to the tub. Putting the dress in if it is crumpled or balled up may cause the dye to work unevenly. 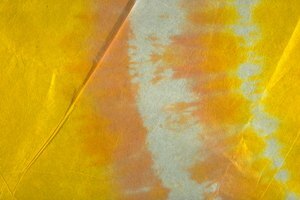 If you are going for a tie-dyed effect, knot or use elastics accordingly before placing the prom dress in the dye. Stir the dress and the dye constantly during the dyeing time. The amount of time you need to leave the dress in will vary by manufacturer and by how strong you want the color to be. Remove the dress from the dye after the recommended time on the package. Rinse the dress under warm water, gradually making the water cooler as you go, until it runs clear. Wash your prom dress alone in a washing machine with mild detergent. Any excess dye could ruin other items of clothing if you wash them with the dress. Dry your dress according to the label. You may be able to put the dress in the dryer on a low heat setting. For best results, many prom dresses require line drying. 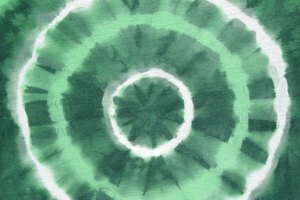 All About Hand Dying: Can I Dye My Old Prom Dress a Different Color?